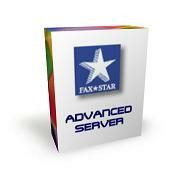 Fax★Star is pleased to introduce this new web site. Please register to access more content. The 'provider for Microsoft FAX' is a new feature that allows you to share the FAX resources of your Fax★Star with Microsoft FAX servers. After installing the 'virtual modem' on the Microsoft FAX server, you do not need any fax modem on that server anymore. This is a very convenient and transparent way to remove unreliable CLASS 2 modem and phone lines. A new command is now available if you desire to insert BARCODE in your document. By simply adding a **BARCODE command in your spool file, Fax★Star will generate and insert a barcode in your document. This feature is available as an option, check the reference manual for more details. Please call +1(800)327-9859 for more information.